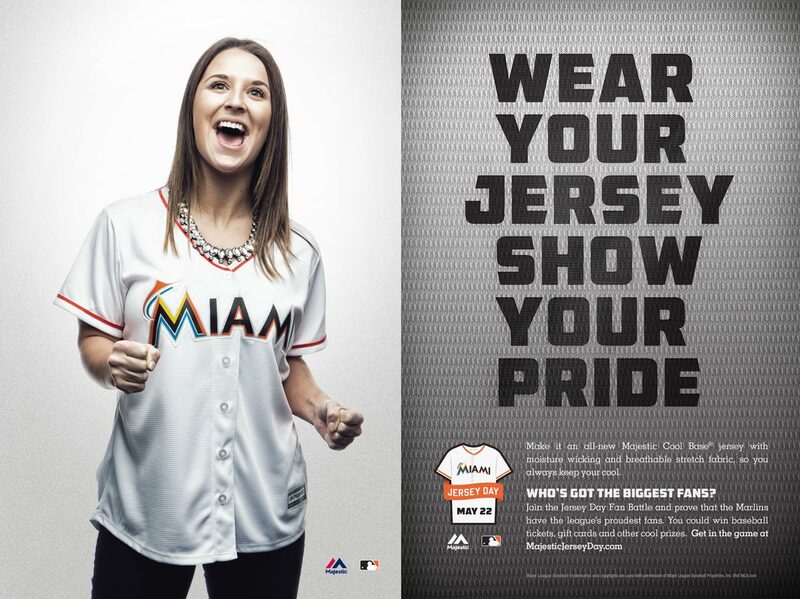 This past spring we teamed up with the creative team at GMR Marketing to shoot a series of ads for Majestic Athletic, the official on-field jersey provider of Major League Baseball. 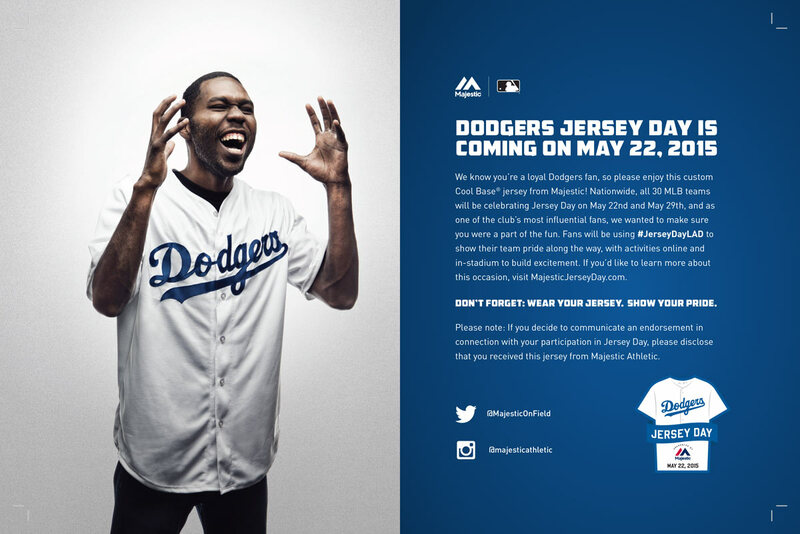 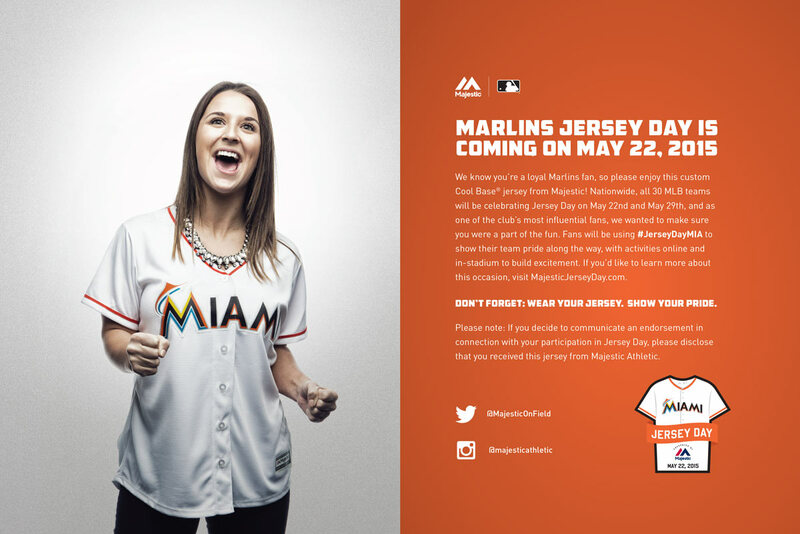 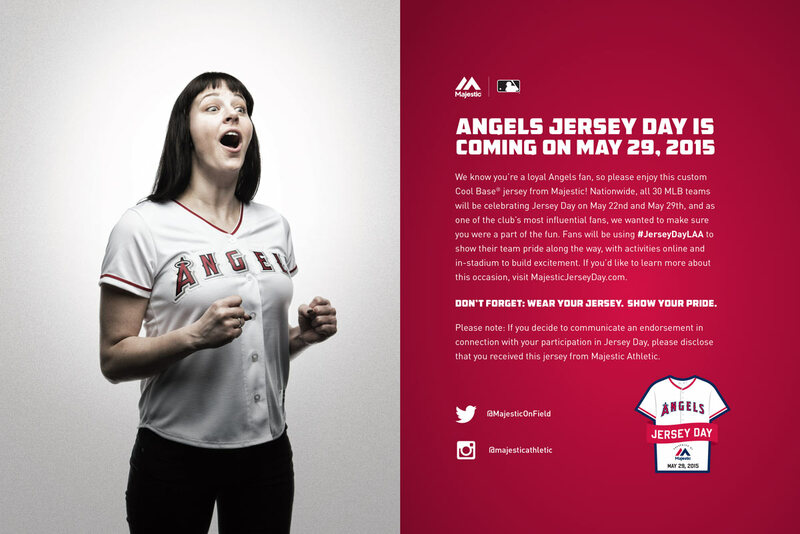 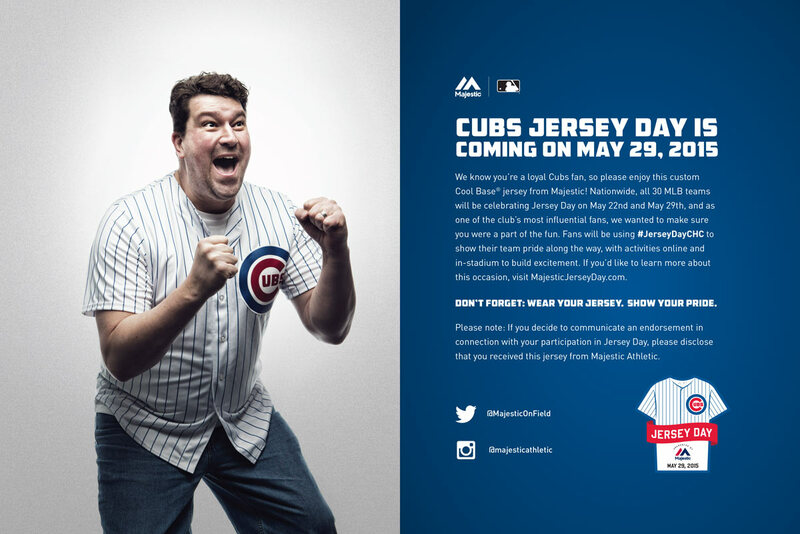 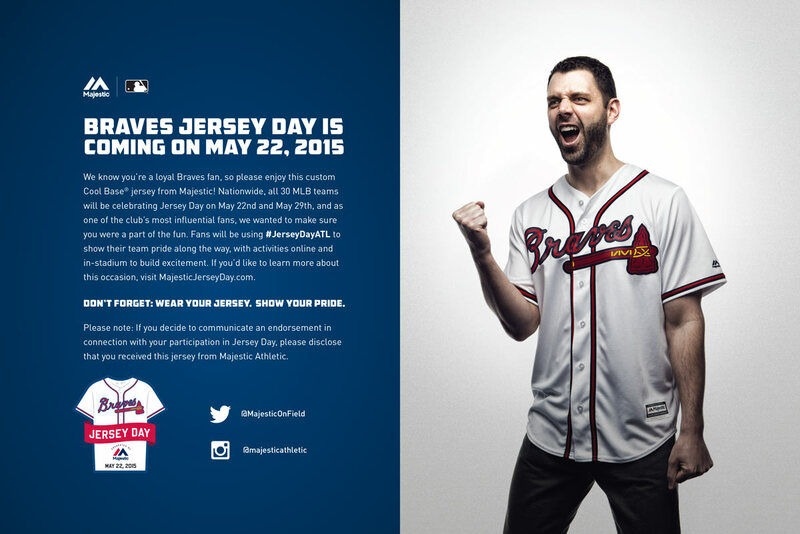 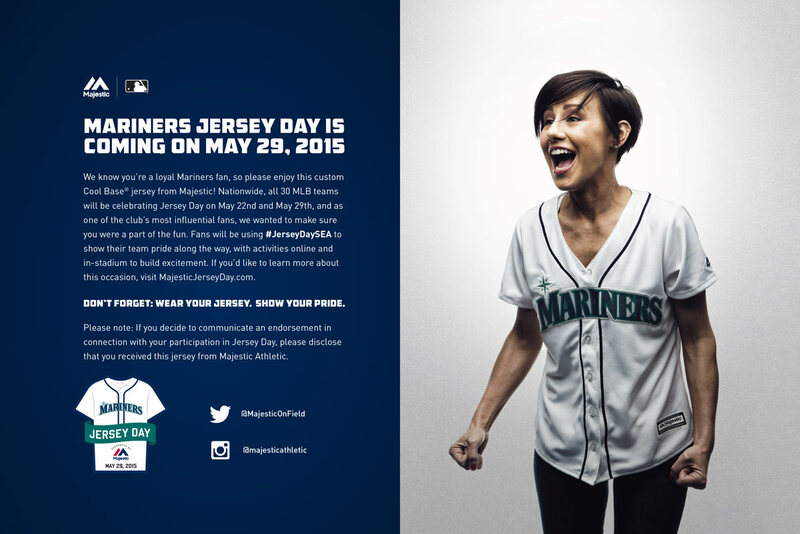 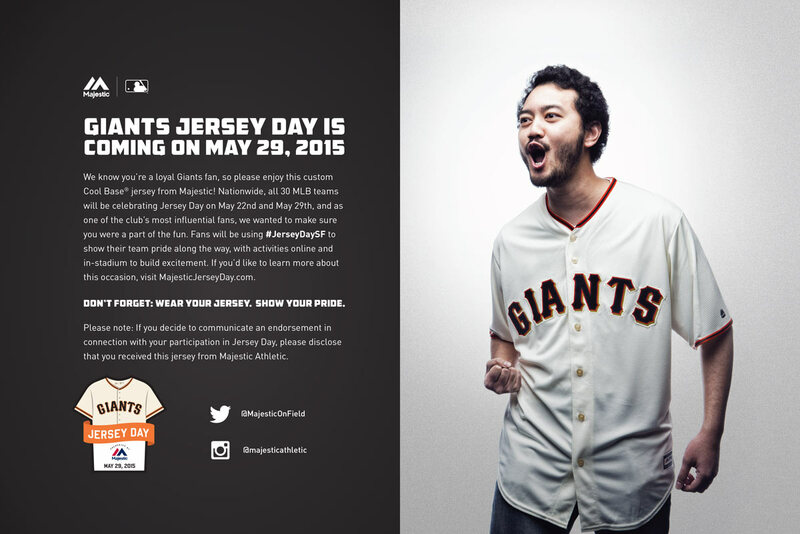 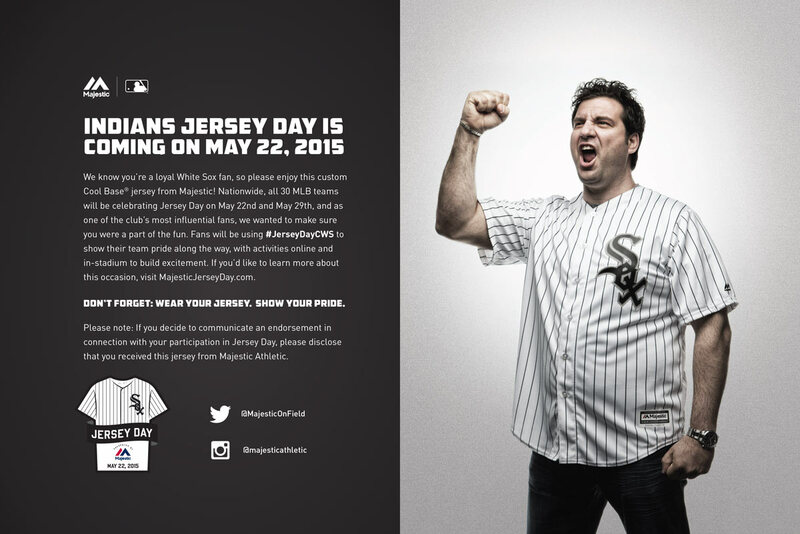 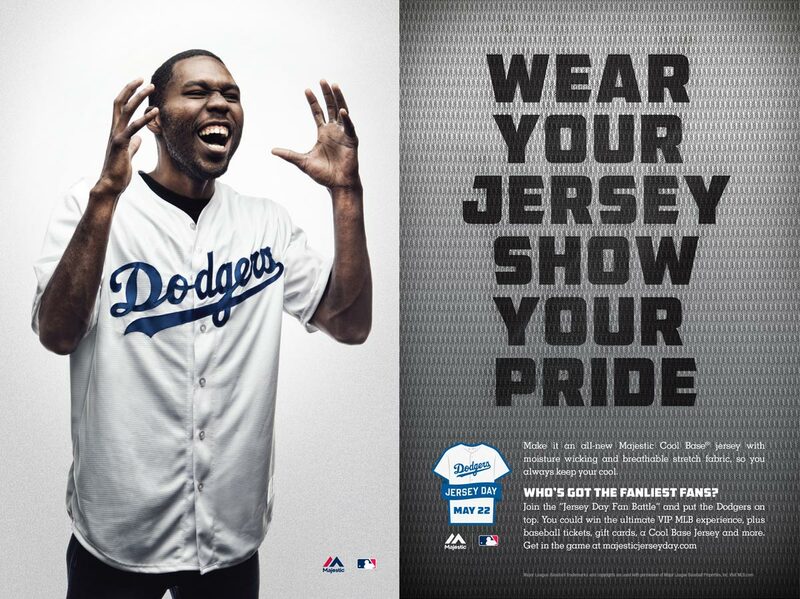 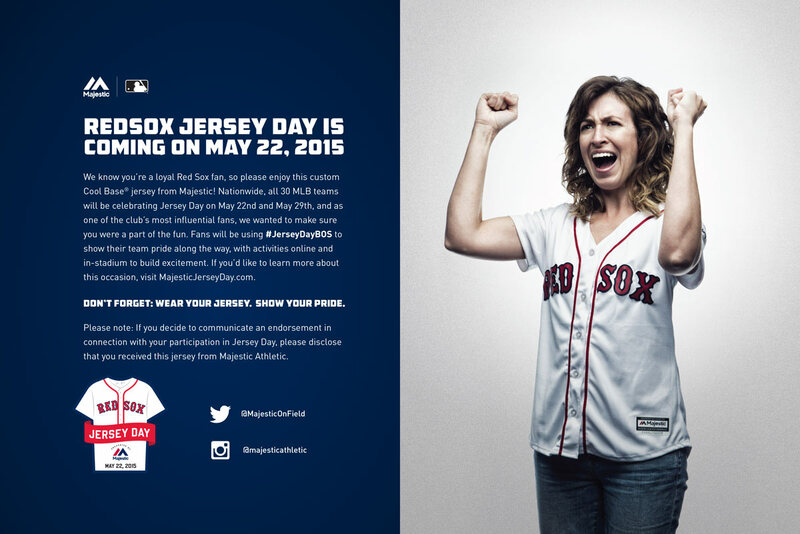 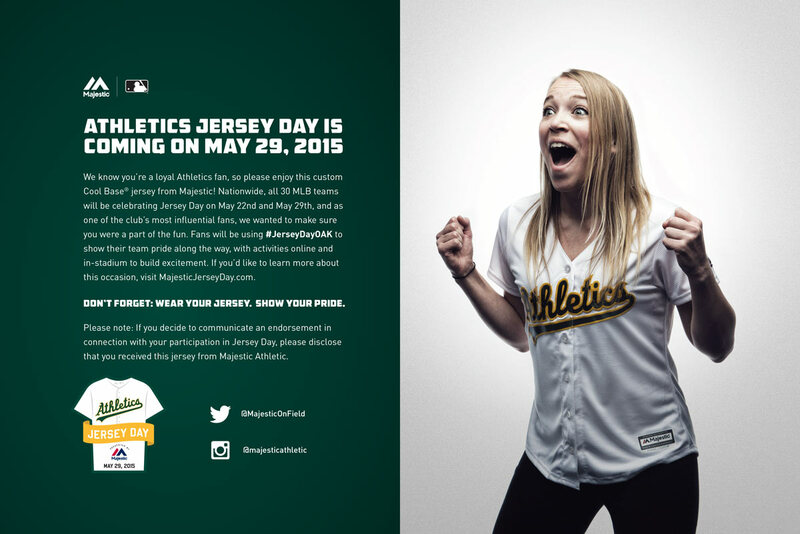 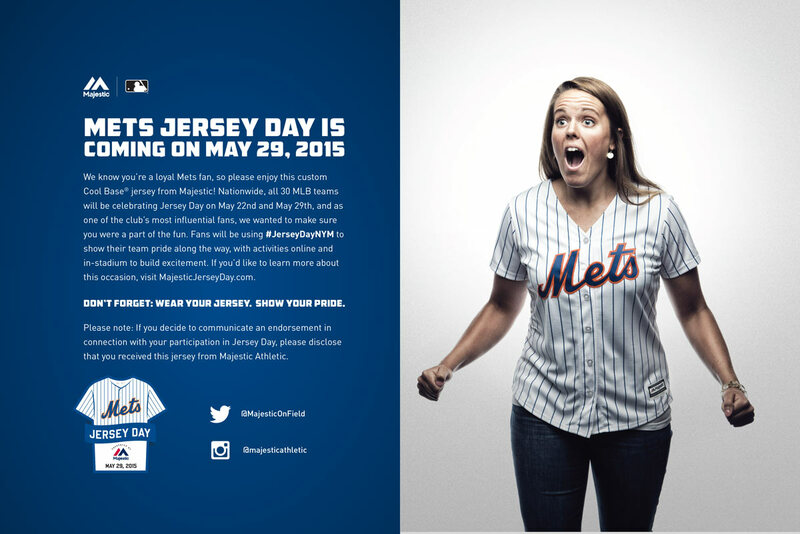 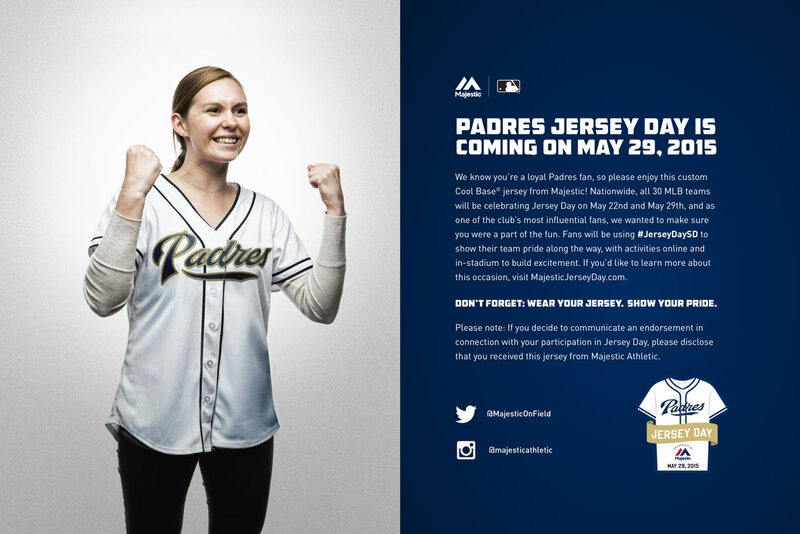 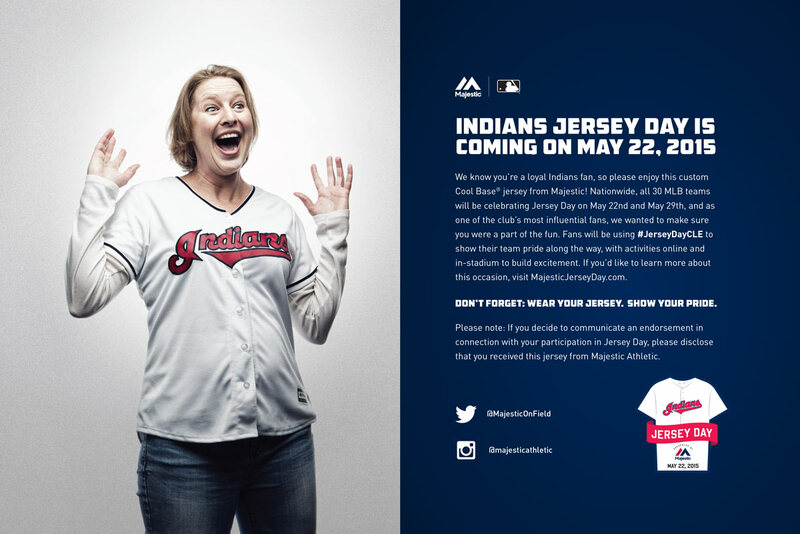 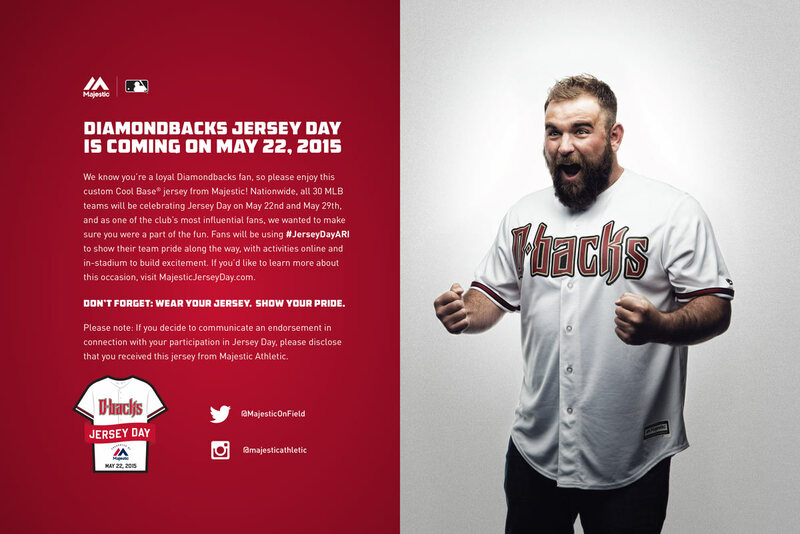 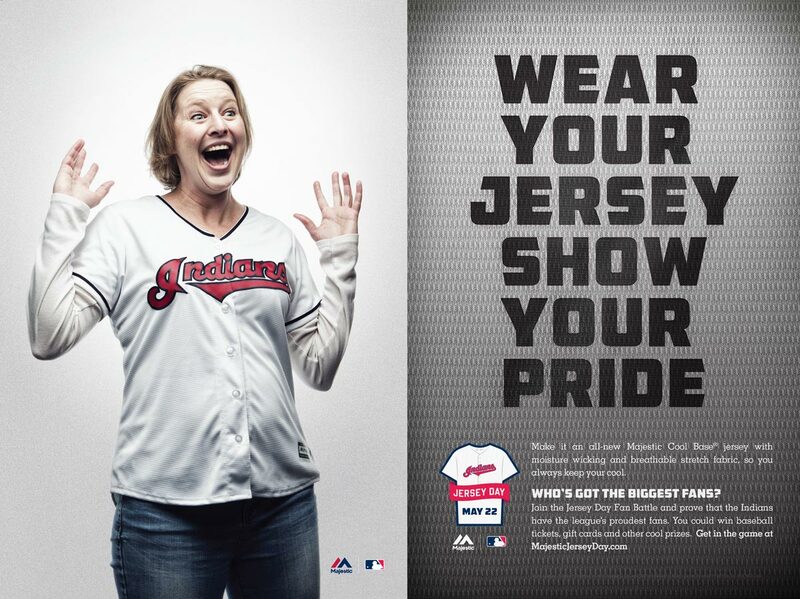 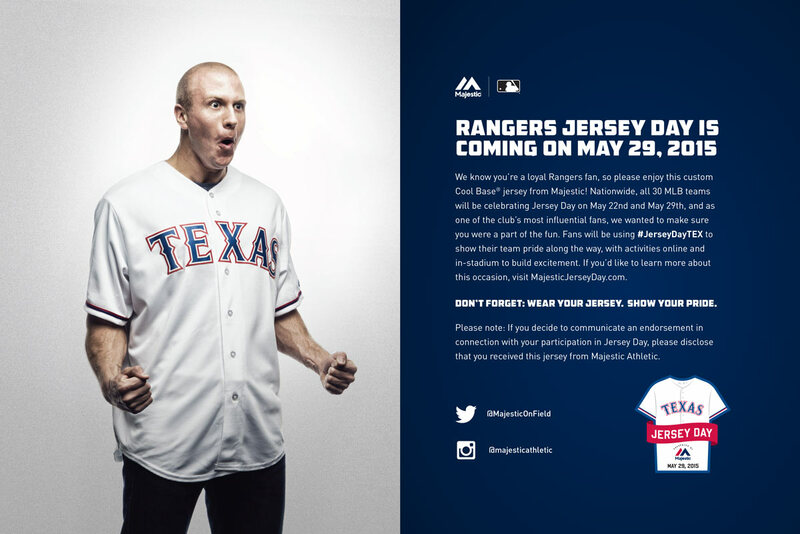 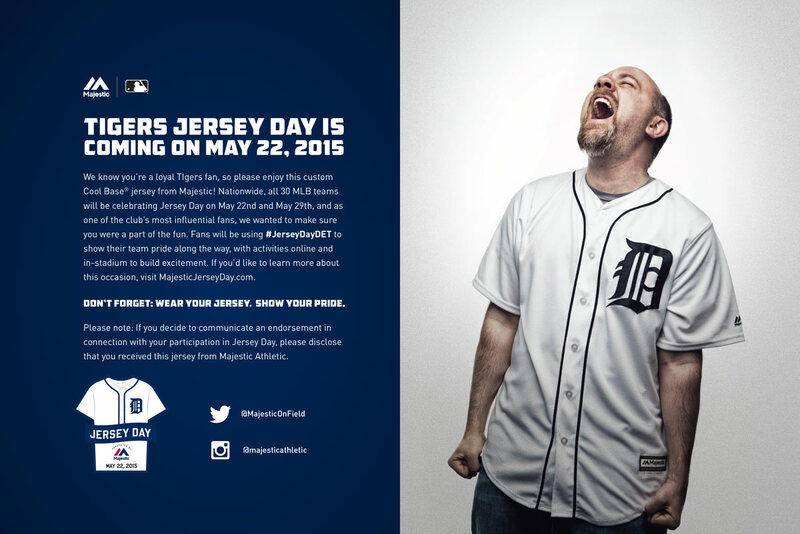 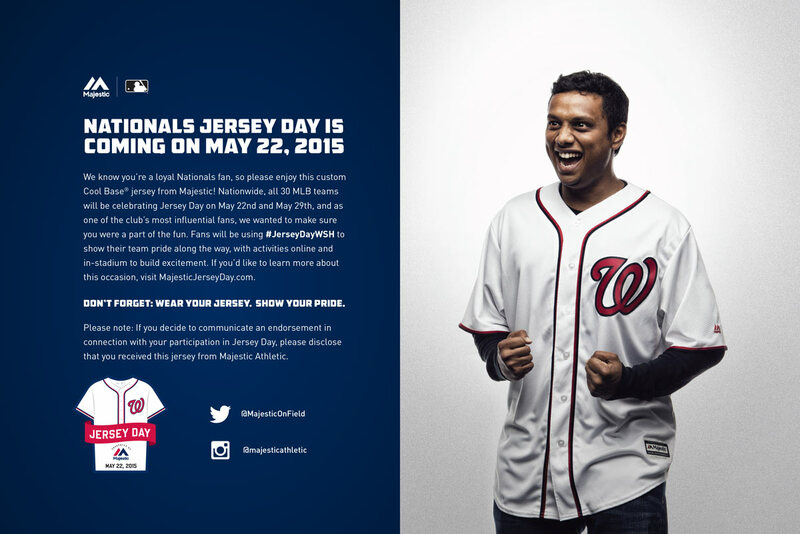 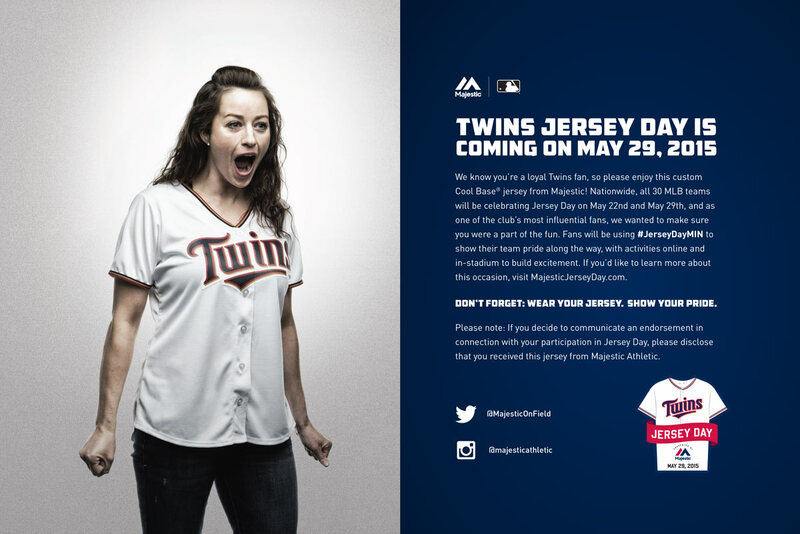 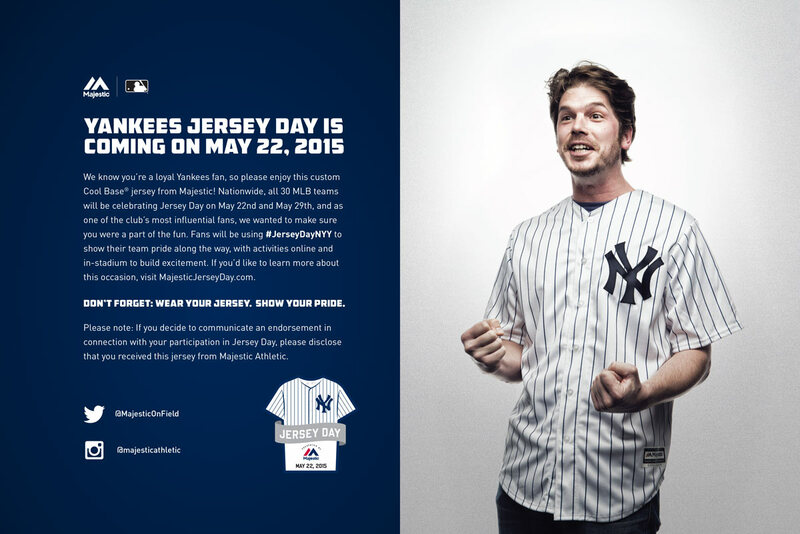 The shoot was for ad placement for Majestic’s “Jersey Day Fan Battle” promotion and saw wide usage for web, social media, in-store displays, print and product integration. 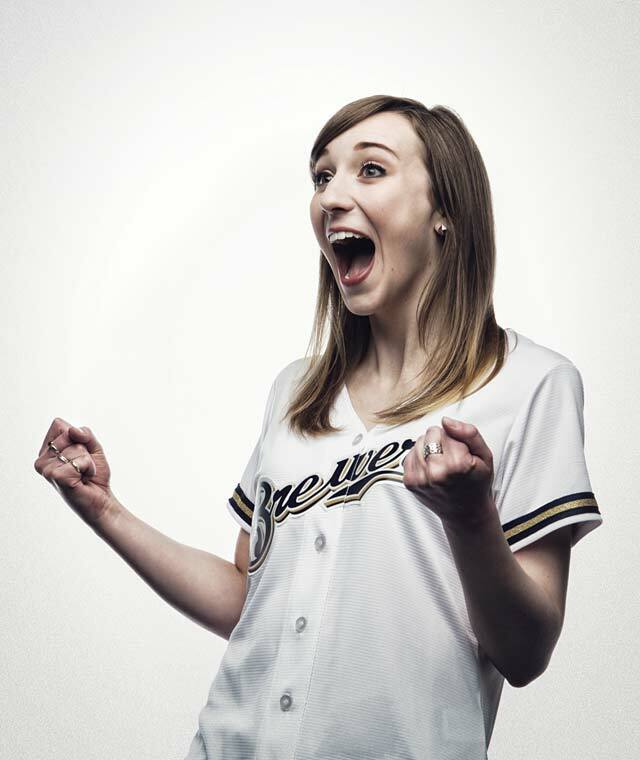 We set-up shop at GMR’s new production studio in New Berlin for a day and shot 30+ people wearing all of Majestic’s MLB jersey to create the final series of images. 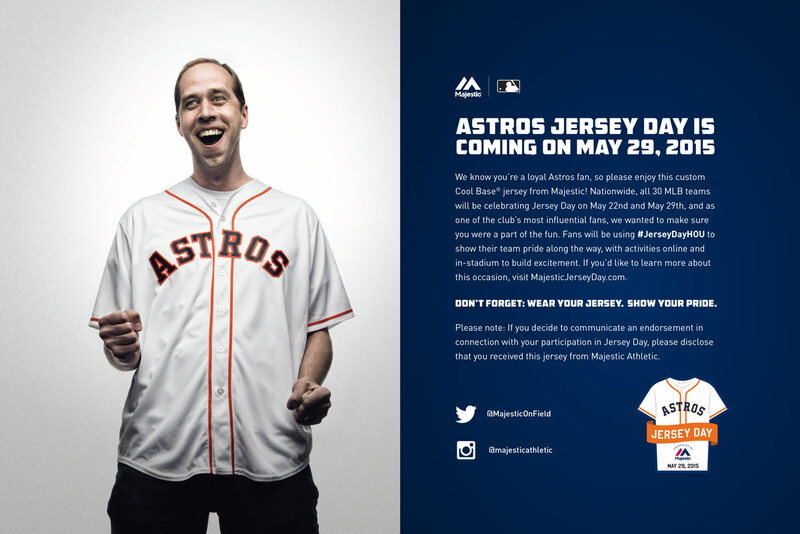 You can read more about GMR’s involvement with the project here at their blog. 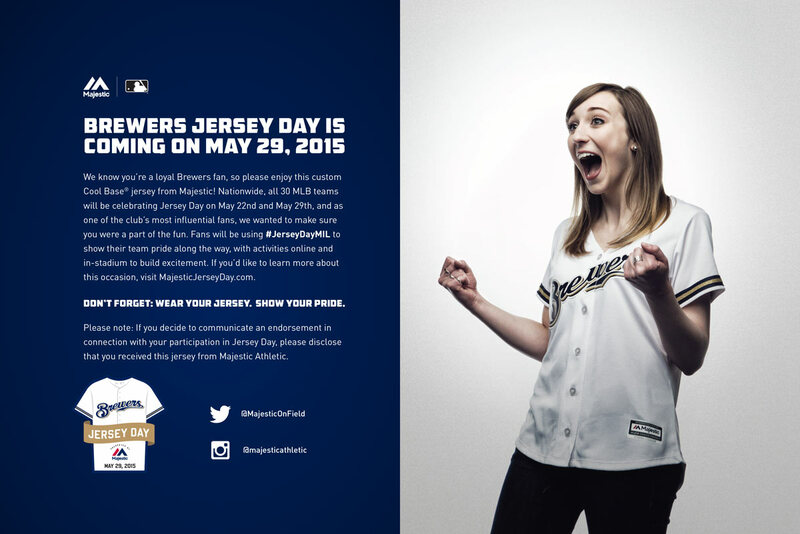 Below are a handful of the final layouts! 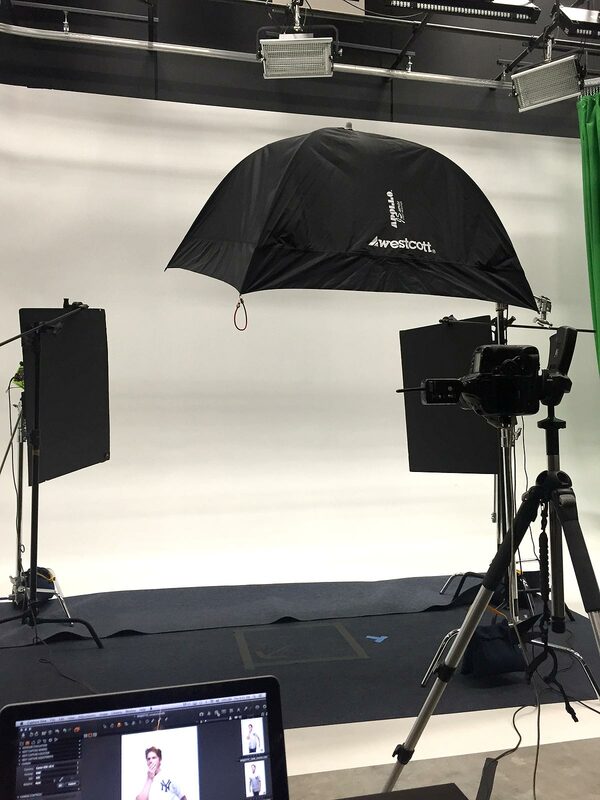 Below is our shooting set-up at GMR Marketing’s production studio. 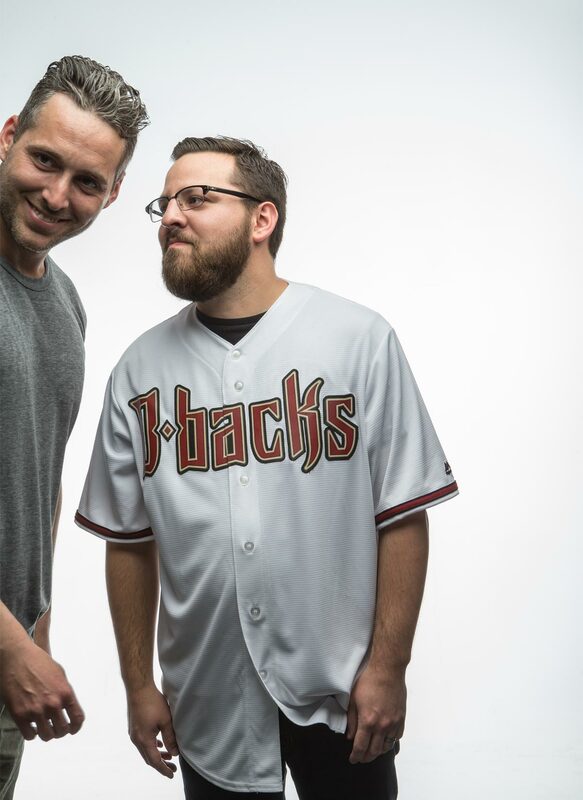 Even Trevor got in on the fun! 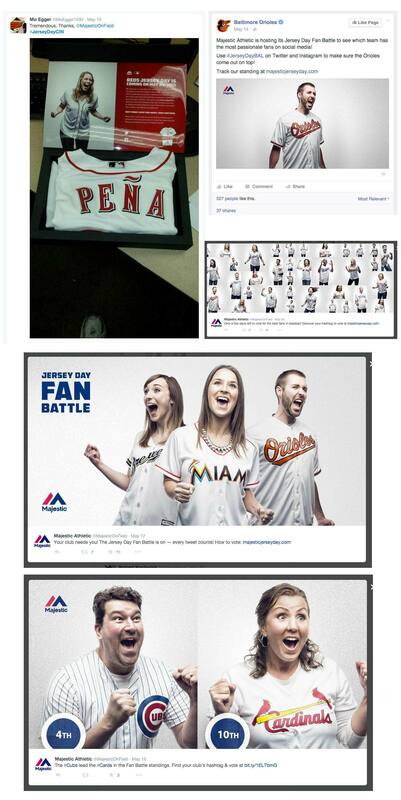 Small world indeed. 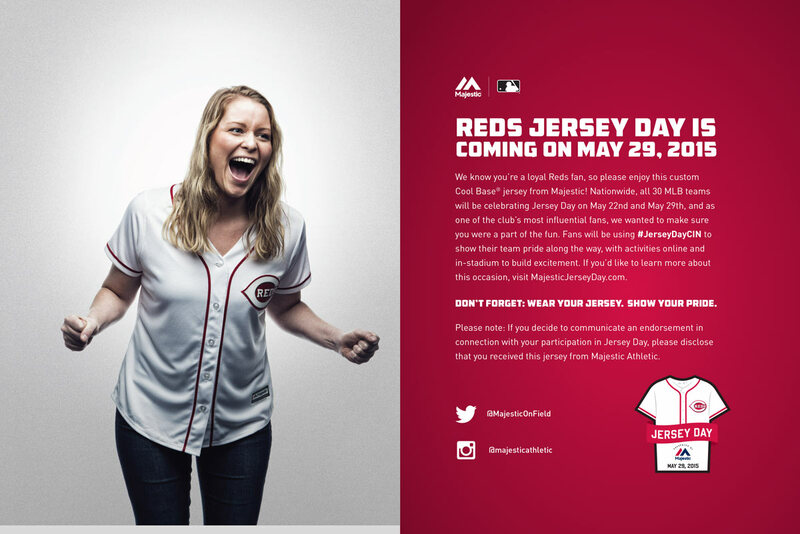 See more of Jackson & Co.’s work here at www.davidejackson.com!